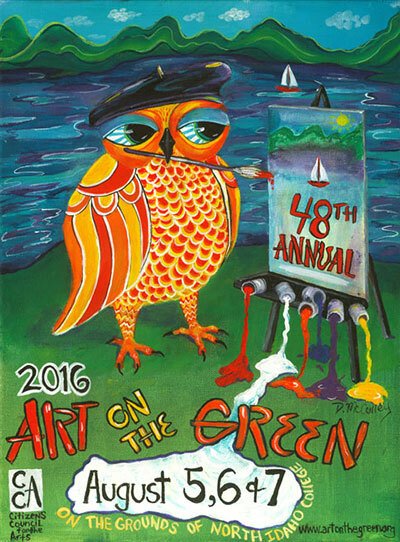 Coeur d'Alene's 48th annual Art on the Green is this weekend, Friday, August 5 through Sunday, August 7 at North Idaho College campus featuring arts, crafts, music, a beer and wine garden and food. Art on the Green is a marketplace, performance space and a gathering place for friends and families, this yearly event is the highlight of summer in Coeur d'Alene. This weekend 190-plus artists, a variety of performers and over 500 volunteers will come together to present Art on the Green for more than 50,000 people to enjoy. Art on the Green is a great place to buy handcrafted works in glass, clay, leather, wood, metal and fiber directly from the artists. Or if you prefer, create your own special art in the hands-on-art area for children - materials and instruction provided. There is a free shuttle bus between the festival and downtown Coeur d'Alene. The hours are Friday noon-7:30, Saturday 10-7:30 and Sunday 10-5. The Coeur d'Alene Symphony plays Vivaldi's greatest hits Saturday at noon. Go to artonthegreencda.com for all the details. Don't miss this year's GleasonFest, this Saturday, August 6 at Spokane's Riverfront Park Lilac Bowl. It runs from 3-11pm. This annual music festival was inspired by Spokane native, Steve Gleason, who was diagnosed with Amyotrophic Lateral Sclerosis (ALS) in 2011. All proceeds benefit the Gleason Initiative Foundation mission of providing life-improving technology and services to those afflicted with ALS and create global awareness for the disease. Steve's intention for the festival is to not only raise funds and create awareness; but to celebrate life, family and friends, wrapped around great live music. Doors open at 2pm. This year's musical lineup: Portugal. The Man, Pickwick, Delbert The Band, Duke Evers, Hey! Is For Horses, and more. General Admission $25 (purchased in advance) or $30 at the door, Kids 10 & under free. Tickets and more information are at gleasonfest.org. This Saturday, August 6 and every Saturday in August, the Spokane Art School at 811 West Garland, will hold an Art on the Street drawing event. An easel will be set up on the sidewalk in front of the Spokane Art School Gallery and passersby will be invited to participate in the art making process with a local well-known artist. This Saturday it's Austin Stiegemeier from 1-4pm. 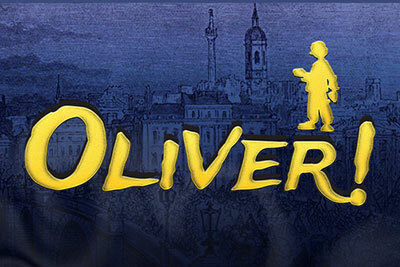 Spokane Valley Summer Theatre presents the family classic, Oliver! The show runs until Sunday, August 7 at the Central Valley High School Performing Arts Center at 821 S. Sullivan Road, Spokane Valley. Get ticket and more information at svsummertheatre.com. This First Friday, August 5, the Fox Theater takes on a new form, showcasing 18 original art pieces in an exciting collaboration of visual artists and designers, Spokane Symphony, and Martin Woldson Theater at The Fox. Over 15 artists created large poster artworks based on classic and contemporary composers selected by the Spokane Symphony Music Director, Eckart Preu, to be installed in the majestic display windows of the Fox Theater. Artwork will be shown on the exterior as well as the lobby of the Theater, and both prints and originals will be available for purchase. For more information, visit www.spokanesymphony.org. This Thursday, August 4, celebrate Opening Night at The Festival at Sandpoint with Grammy Award winning singer and keyboardist Bruce Hornsby with his touring band The Noisemakers. Other performers at this year's festival include Railroad Earth with Rabbit Wilde, Emmylou Harris, a Family Concert with The Festival Community Orchestra, Angelique Kidjo with Afrosonics, the Nitty Gritty Dirt Band with Luke Bell, Ben Harper & the Innocent Criminals with Tom Freund and Sadie Waggoner, and the Grand Finale on Sunday, August 14, A Midsummer Night's Dream with Spokane Symphony, Maestro Gary Sheldon & Vadim Neselovskyi. 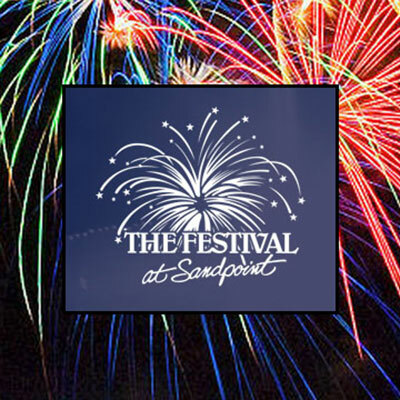 For more information and to purchase tickets, visit www.festivalatsandpoint.com. Ringo Starr and His All Starr Band - featuring Todd Rundgren, Gregg Rolie, Steve Lukather, Richard Page, Warren Ham and Gregg Bissonette - announce another string of North American shows. The tour will make a stop at the Starr Theatre at the Spokane Arena on Sunday, October 16. Tickets go on sale this Friday, August 5 at 10am at the Spokane Arena Box Office, all TicketsWest Outlets, by calling 800-325-SEAT or online at TicketsWest.com. 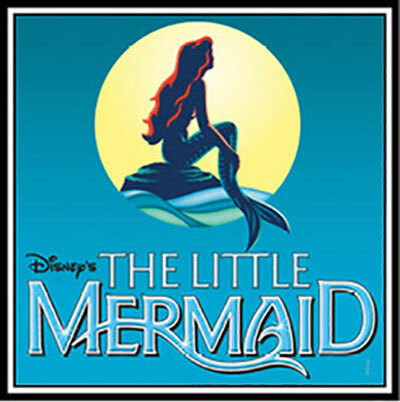 Join Coeur d'Alene Summer Theatre for Disney's The Little Mermaid, August 11-28 at the Kroc Center Theater. Get your tickets at cdasummertheatre.com. Spokane Sidewalk Games started just three months ago and has already seen over 10,000 individuals play their Giant Chess, Checkers, Connect 4, Marmots Versus Turkeys Tic Tac Toe and other games. The games have been located at Riverfront Park, the Community Building, and at 37 other events and venues around Spokane County. The project has also trained and employed teens from the Crosswalk Youth Shelter, while giving local artists the opportunity to showcase their art through the transformation of game pieces. The project started with only a few games but hopes to purchase more and was just named a finalist for the KaBOOM $1 Million Play Everywhere Challenge. If the project is successful they hope to purchase more games and build a unique 'Playhouse' to both house the games and provide more opportunities for Spokane's kids and families to play, connect, learn, and have fun. They also hope to train, support, and employ even more Crosswalk youth. They'll find out in late August if the project is ultimately selected. To get involved or to track the project, follow their Facebook page at 'Spokane Sidewalk Games' or e-mail Ryan at Ryan@TerrainSpokane.com. Other Locations As Advertised via 'Spokane Sidewalk Games' Facebook Page. 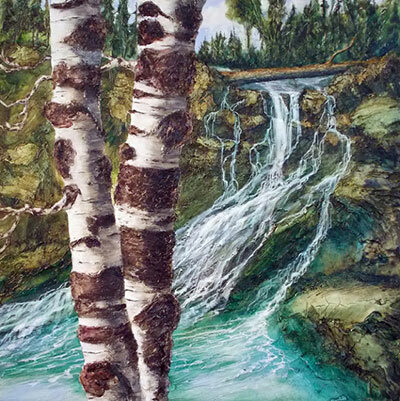 Tom Hanson is having a featured artist event 'The Woods & the Water' at the Entree Gallery in Nordman, Idaho at Priest Lake. 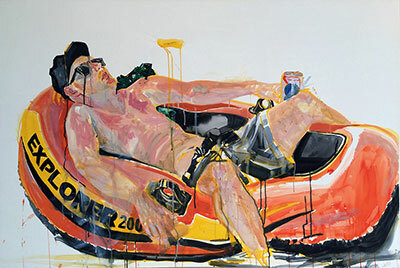 A Meet the Artist reception is on Sunday, August 7 from 1-3pm. The gallery, open 10-5 daily, is located on Reeder Bay Road in Nordman (west side of Priest Lake). The phone number is 208-443-2001 and email is info@entreegallery.com. This Thursday, August 4, the Martini Brothers are guest performers at Arbor Crest Wine Cellars, playing cool rock favorites, Glass Art by Lynn Gamble will be on display. On Friday, August 5, enjoy the music of Dan Conrad performing Pop/Country-Rock. Both Thursday and Friday concerts run from 5:30-7:30pm, no cover. This Sunday, August 7, David Raitt and the Baja Boogie Band take the stage for Concerts on the Cliff, playing legendary blues. Music runs from 5:30 to sunset. There is an $8 cover charge. Food, wine and beer available for purchase. For more information, visit arborcrest.com. Scott Kirby, pianist, composer and visual artist presents Main Street Souvenirs on Thursday, August 18, at Martin Woldson Theater at The Fox. Proceeds benefit Holy Names Music Center and music education outreach in our community. A former student of Holy Names Music Center, Scott Kirby specializes in American and Pan-American musical genres, combining the worlds of classical, folk, and popular music. He will be performing musical styles including classic Ragtime, Brazilian Tango, Blues, Traditional Jazz, Creole and Americana, as well as original compositions. The program will feature works by Louis Moreau Gottschalk, Stephen Foster, Scott Joplin, John Philip Sousa, Hector Villa Lobos, Ernesto Nazareth, Jelly Roll Morton and many more. Kirby has been praised as an "Ace pianist" (Time Magazine, August 1992) who "...sounds like Chopin." There's a Silent Auction at 6:15pm and the concert starts at 7pm. Admission is $25. Call The Fox Box office for tickets 509-624-5992 or they are also available online and at all TicketsWest outlets, www.ticketswest.com or 800-325-SEAT.